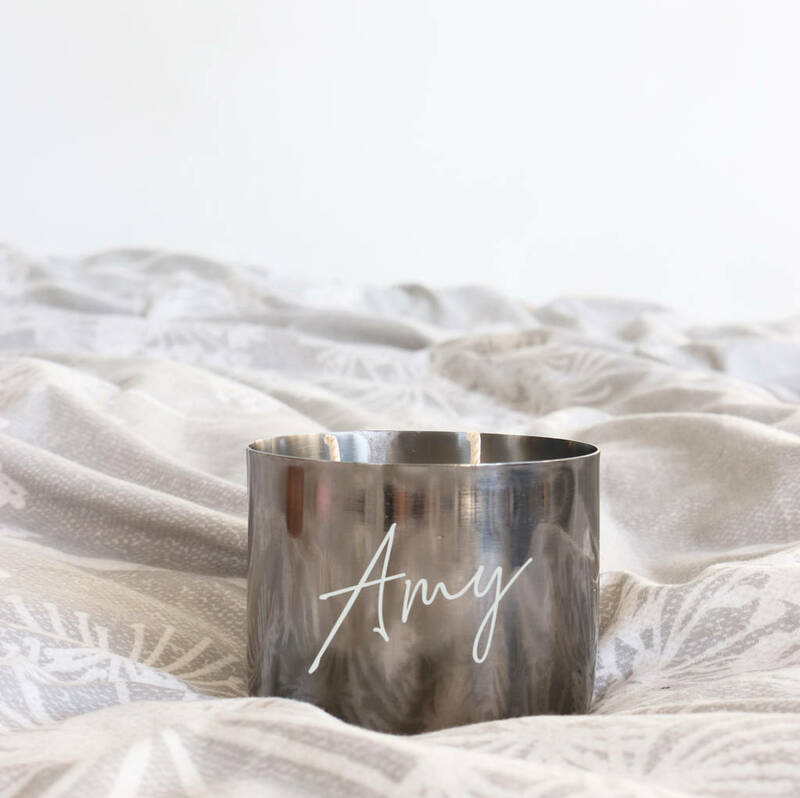 This gorgeous metal handpoured candle makes the perfect personalised gift for her. 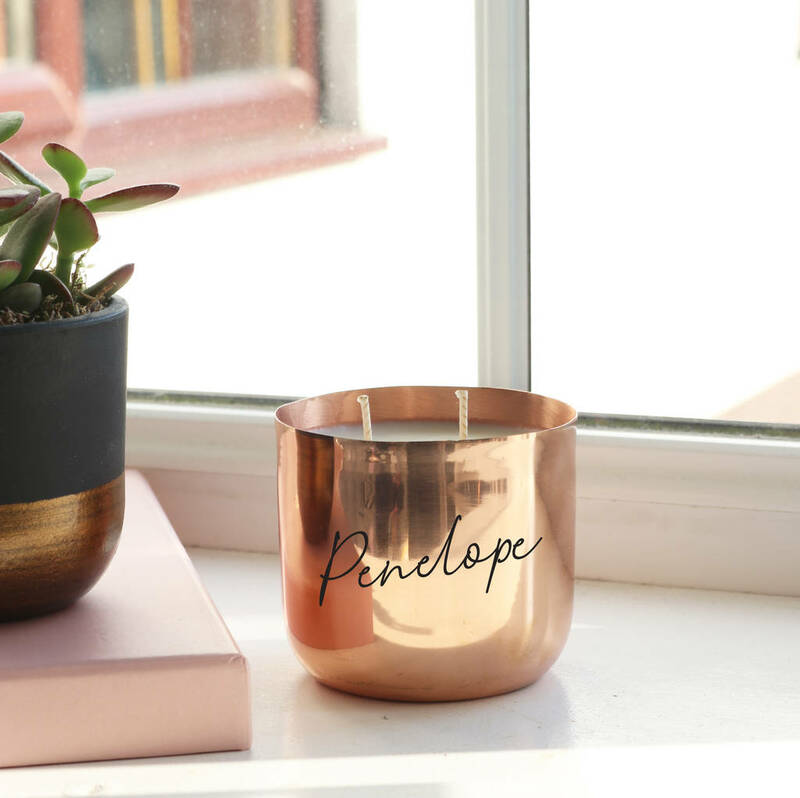 Personalise this candle by entering the name, colour of container and scent to create a truly bespoke gift for her. 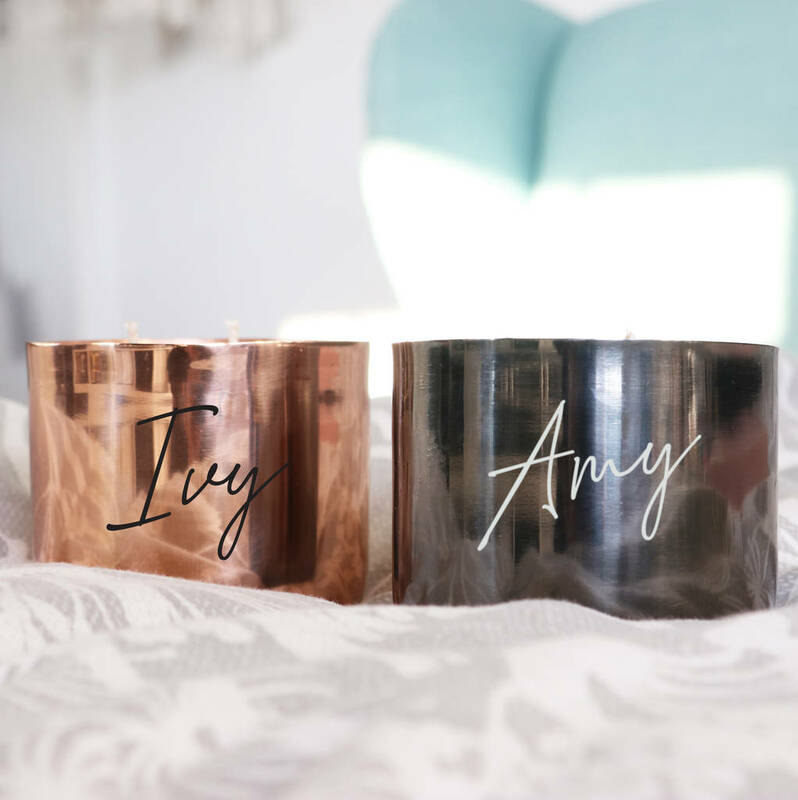 Please note; we use natural soy wax which means there can very occasionally be imperfections in the wax. Scented candle made from 100% soy wax with 2 wicks. This product is dispatched to you by GLB Graphics.